BlackBerry Messenger (BBM) was once among the most popular messenger apps for mobile devices. Although the Canadian company behind the messenger continues to improve the app pretty often, the competition is fierce and BBM kind of fell behind. However, BlackBerry is focusing on bringing its messaging services to an entirely different target: enterprise businesses. Today, BlackBerry announced the BBM SDK is available to all developers who want to include the messengers into their Android or iOS apps. 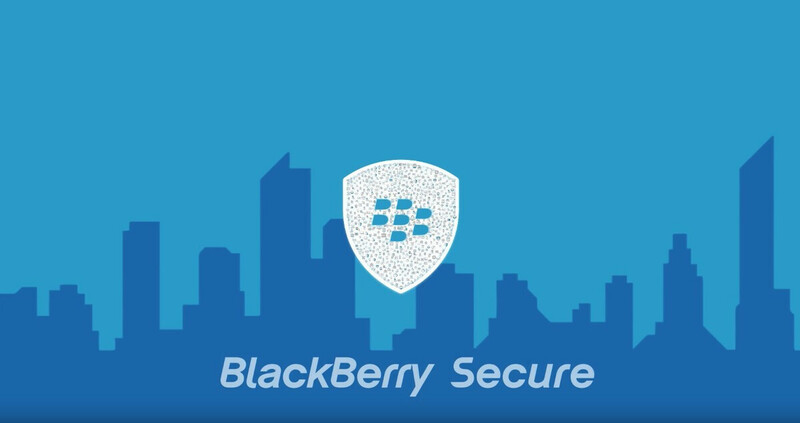 The BBM Enterprise SDK allows devs to create secure voice, chat, and video into enterprise apps much easier and costlier. Since the limited release of the SDK earlier this year, BlackBerry says that more than 60 partners are building and embedding apps using the BBM Enterprise SDK for Android and iOS devices. BBM Enterprise also offers a superior user experience versus other enterprise IM platforms. Users have access to a rich selection of features, including message editing, retraction, read and received notifications, voice notes, group chat, and file sharing. Moreover, the SDK is built on BlackBerry's Network Operating Center (NOC), which should provide developers with more scalability and reliability. Great to see BlackBerry is focusing on adding new capabilities to BBM via enterprise developers. Between this and Emtek adding new features to the consumer side of BBM, it will become an even more capable IM client. Ah! BBM, eh...? The most secure messaging platform on the face of the earth, eh? NOT, I tell you...! BBM's security and privacy is nothing but a bloody joke, that's not even funny... In Electronic Frontier Foundation's "secure messaging scorecard", The BBM earned just 1 out of 7 points in security, Ha...! It lost points because communications are not encrypted with a key the provides doesn't have access to (there's a reason why Blackberry doesn't like to call BBM 'end-to-end encrypted') and hence the once mighty BB has COMPLETE access to any communication made on the platform... Not long ago, Blackberry provided the back-door master key to The Canadian Govt. and Blackberry went as far as to brag about it in press...! Fools... If my underwears are clean doesn't mean I want people (specially Federals) to sniff them...! And that's just one reason why I personally have ditched the platform... The other being "NO CONTACTS"...! Everyone is on What'sApp nowadays which is 'arguably' more secure but since Facebook owns it, who bloody knows, eh...? Thinking about switching to Telegram... Oh well, G'Day! Lol, you're becoming as bad as techie when it comes to posting nonsense. That scorecard is out of date. Says so when you hit the link to view the scores: "This is version 1.0 of our scorecard; it is out of date, and is preserved here for purely historical reasons. Please visit Surveillance Self-Defense if you're looking for recommendations on specific tools to use to ensure your privacy and security while we work on writing an updated guide to secure messaging. Again, you should not use this scorecard to evaluate the security of any of the listed tools, as many of them have been changed since the scorecard was last updated (some for the better, some for the worse)." That's taken from the link that you supplied. There's no need for me to go any further, as you pretty much just proved that you posted alternative facts as the truth and discredited yourself, when the people who run the site to the link that you posted tell you that it's out of date. Perhaps you should actually thoroughly read the links that you post before you decide to post them. It will save you some time and embarrassment. G'day! Aye, the study conducted in the source is indeed old, and I've read it well before I posted this link... But... BBM haven't had any substantial improvements regarding its security and privacy in recent years so this study is still legit...! Believe in whatever you fancy, mate...! G'Day! So you "read it well before you posted this link", and knowing that it was old and contains information that isn't factual, you posted it anyway? And it's not just "old", the site owners freely admit that you should not use this to evaluate any messaging client due to it having out of date (incorrect) information. But you posted it anyway. That's called trolling "mate", and there is no way that you can say that it's not, especially since you clearly haven't done any recent research on BBM, or you'd know that what you're saying is false. But don't let the facts get in the way of a good story, "mate". Carry on. BBM is versatile when it comes to the amount of features that it has and it's usable for people who don't want to pay a premium for a blackberry device. The only caveat is that the other party has to be using BBM, which can pose a challenge for some people. @comment #7 Almost every instant message app require other party to have it, mxyzptlk. This is nothing new. Is the way that they work. Even with iMessage, you have to have Apple device to use it. I guess that is big caveat that pose a challenge for some people, by your logic. iMessage is an SMS client as well. Helps to know what you are talking about instead of being a jockey. iMessage is SMS client between Apple device only. You cannot send iMessage to iMessage to any device that is not Apple device. It default to regular SMS. It help to know that you are talking about, instead of being ignorant troll. Flash, um mxy, tell me one IM client that doesn't require the other party to have the same app? Just one will do. Please don't say iMessage because everybody knows it only works between Apple devices. Yes, it's built-in and also serves as a SMS client. But so does Skype on Windows Mobile and at least Skype is multi-platform. I'll be waiting on your answer, take your time.